This GSM remote activated spy audio bug recorder for environmental monitoring is the smallest of its kind. 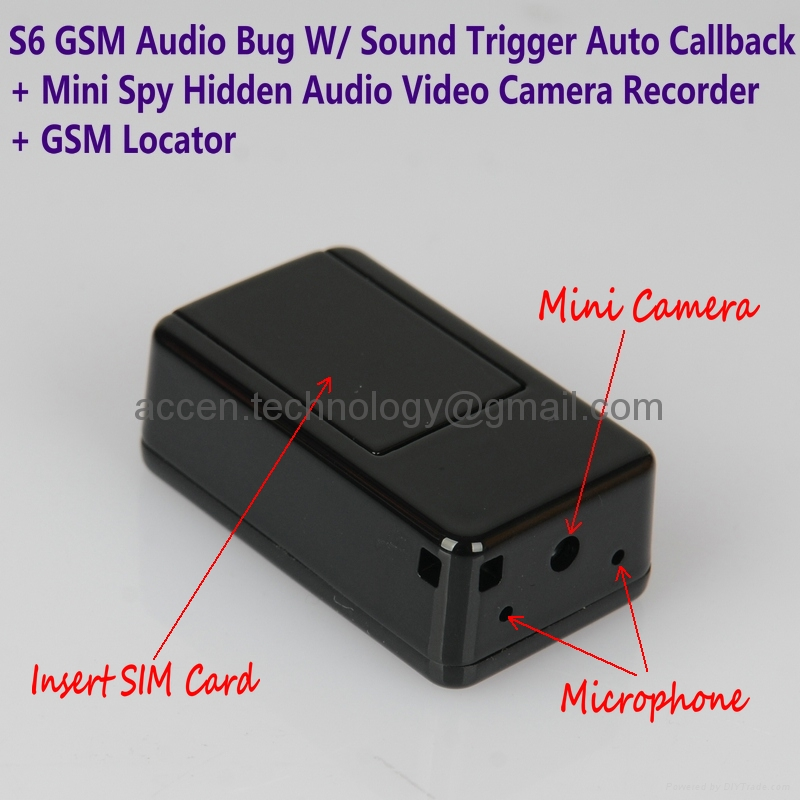 A popular surveillance security device for live audio monitoring and SMS text tracker/locater and MicroSD voice recorder. It is easy to set up and use, only requiring a valid SIM card for GSM network connection and MicroSD card to record on. Inside this tiny box is a rechargeable LiPO lithium battery, lasts 4 days on standby and 2 hours in GSM monitor mode, support 24 hours recording audio only and 5 days tracking only. It provides battery status by text and operates whilst connected to a 5v USB charger or power bank battery (both not included). Supports quad band GSM networks with 850/900/1800/1900MHz frequencies. Requires normal size GSM SIM Card. Send a text to bind your number to the item and call to monitor. When connected you hear clear sound around its location up to 4 metre's (16 feet). Sound activation feature automatically calls you when sounds above 40db (a voice) are heard. Measures only 35mm x 20mm x 15mm and weighs less than 20 grammes making it the smallest most lightest magnetic spy bug recorder available. Superb long distance audio surveillance remaining on standby for 4-5 days on battery alone and an impressive audio recorder. The GPRS locater tracker is basic giving an area location of 25-50 metres and is not always precise, take note this is an added feature and not it's main purpose (if you want tracker then buy a gps tracker and not a listening device with tracker). The audio listening and recording feature is its main purpose and the tracker/locater really depends on a strong GPRS signal to perform well.